Those walking down Victoria Street at the weekend may have noticed a rather colourful new art installation has made an appearance. 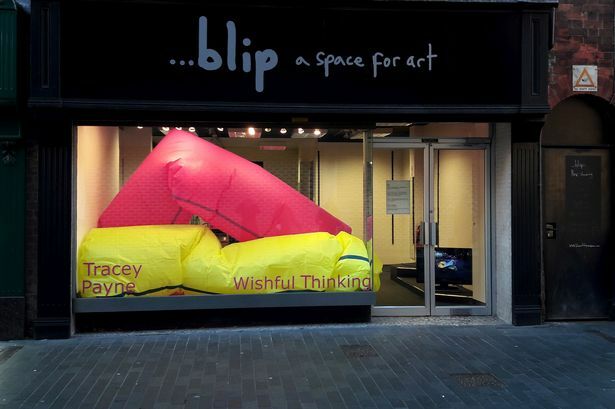 Following on from Sweepings by Ellie Collins – a display of “artifacts with a ‘not quite’ quality” – those behind temporary art space …blip, located in the former women’s store Rachel, are now inviting passers-by to “stop and stare” at Wishful Thinking. The exhibition, by London-based artist Tracey Payne, features vibrant “inflatable entities” which “expand and then collapse and then expand again”. “Tracey Payne likes to make objects, filling spaces where people will be alarmed and will laugh. Slapstick, silliness, accidents, surprises. Stand-up, fall-down. How/who to trust? Around the edges and in the gaps we live our lives. 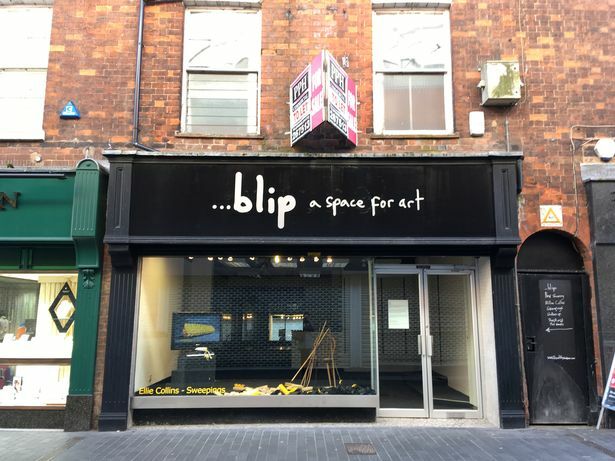 Created to provide “a brief moment of interest or curiosity to the thousands of local people who pass on the street each week”, …blip is collaboration between North East Lincolnshire artists Ellie Collins and Marc Renshaw and London-based artist Tracey Payne.